Marinara pasta sauce is a moderately spiced blend of ground tomatoes, tomato puree, spices and vegetable oil. It is prepared from round and or pear tomatoes that have been washed and hand sorted for quality prior to grinding. 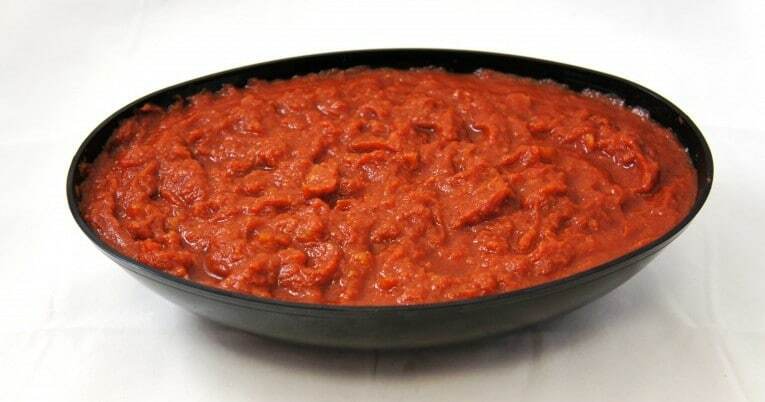 It is very similar to our Smooth Spaghetti Sauce and is suitable for most uses. It has a bright red color and is practically free from extraneous plant material and objectionable defects. The product is hot filled to ensure commercial sterility then cooled prior to stacking.